MOUNTAIN TOP is the story of the life and times of the late Kenneth Affleck. Ken's story is inspiring, often humorous, and motivating. Ken Affleck died after running up the stairs of a 60-story building. Ken was age 48 and had a hidden heart defect. How many people run their whole lives? How many run stairs for exercise or fun? How many run 60-story buildings? 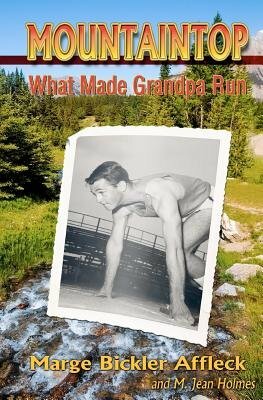 What made Grandpa Ken Affleck run? Ken was a runner, a devoted father and husband, and an educated man who lived as a passionate disciple and servant of Jesus, the Lord, King of the Universe, and Messiah. Ken was a track star in high school and ran all his life. Ken ran well the race of life. Ken would have wanted to die running. That's just what he did. What made Ken run is the theme of this book. Written for his grandchildren, it is a moving testimony of this man's impact on his world. This is a lesson, in a quest for answers. It is an adventure to get to know this unique man. Come join the adventure, and learn to run as Ken did.